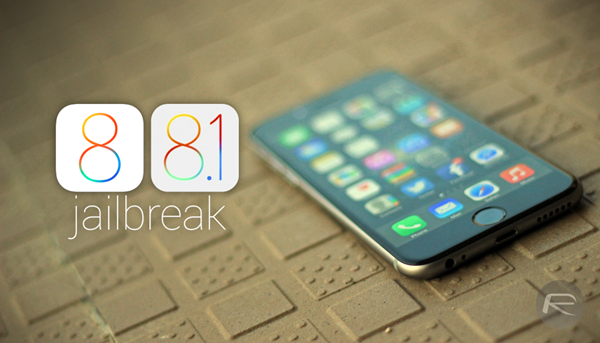 The jailbreak scene has once again surpassed itself with the promptness of the release of a jailbreak for iOS 8 / 8.1. Not only do we have to applaud the work of the Chinese Pangu jailbreak team, but the endeavors of Cydia author Saurik and his developers has been just as commendable. The only issue with this untether is that it’s not exactly noob-proof, with many of the steps involved in jailbreaking, manually installing Cydia and such requiring at least a passable amount of prior knowledge. But Pangu has announced that it is well into combining its tool with the very latest version of Cydia, and once testing and consultation with Saurik has commenced, could release to the end user as soon as tomorrow. This is perhaps the biggest revelation since the jailbreak first manifested itself ten days ago. Since that point, many seasoned jailbreakers have gone ahead and indulged, but with a number caveats and niggling teething issues, a great deal have instead sat patiently and waited for the Pangu utility to become a little more user-friendly. That day, it would seem, is almost here, with Pangu taking to Weibo to reveal its immediate plans. As there are still kinks to be ironed out and testing to take place, details are at a premium, and as yet, there’s no word on whether users who’ve already jailbroken should restore and re-jailbreak once this updated Pangu tool is released. Saurik just received the information sent, Cydia 1.1.14 has been updated, and also send us a built-in jailbreak tool package, we will test and integration, no accident, then, will be released tomorrow after the completion of integration testing the new version of the jailbreak tool. Please Shaoanwuzao, waiting for release of our new version of the tool. So, if you’ve been itching to get your jailbreak on but have been a little off-put by the numerous bugs and seemingly complicated steps involved in trying to achieve that holy grail, then you probably won’t have to wait too long. Pangu has said that it’ll arrive by tomorrow, so within the next 24 hours or so. But by the same token, there’s a reason that jailbreak devs and hackers seldom put an ETA on progress – unforeseen roadblocks can often crop up in this business – and as such, we’re going to contain our obvious excitement for a little while longer. Great news for the jailbreaking scene. Hackers are much more reliable when they are getting paid for what they do lol. Yup can’t wait! Tried the early methods and the passcode lock boot loop was starting to get me upset. Tired of alway restoring my phone. Where can i find the new pangu with cydia implimented? Where can I find the new release w/ cydia? Just go to the front page nd follow instructions. Passcode fix it out now. Its working fine on my 6+ reboot for fuuuuuuun LOL.